We are honored to organize the official launch of the Romania Gateway Strategic Project: Boosting Competitiveness, Sustaining Growth that will take place Tuesday, May 27th 2014 at the Romanian Government. The guest speakers of the event are Victor Ponta, Prime Minister of Romania, Mircea Geoana, President of the Aspen Institute Romania and High Representative of the Romanian Government for Economic Strategic Projects and Public Diplomacy, Wesley Clark, former commander of NATO’s forces in Europe and Frank G. Wisner, Ambassador, Foreign Affairs Advisor at Patton Boggs and David Dunn, President and Co-founder United Global Resources LLC. Led by Mr. Mircea Geoana, President of the Aspen Institute Romania and High Representative of the Romanian Government for Economic Strategic Projects and Public Diplomacy, Romania Gateway Unit is a strategic project of national interest, being implemented through a public-private team aligned with a new Romanian economic growth and governance model. Romania benefits from being located strategically at the intersection of numerous roads connecting the East and the West, as well as the North and the South and on the transit axis between Europe and Asia. It has access to multiple modes of transportation (road, rail, and waterways) and is well positioned to capture and re-route cargo flows towards Central and Eastern Europe (CEE). In addition, Romania benefits from a skilled and competitive work force and extensive fertile land that could allow it to become a powerhouse in services, industry and agriculture. As the western projection of the New Silk Road, CEE is in a position to capitalize on Europe’s strengths and build on the opportunity offered by Eurasia’s expanding needs for access and interconnection. In order to match geography with strategy and concrete, bankable projects, CCE needs to have a clear proposition inside the EU and towards the countries of Eurasia. A series of in depth conversations, policy proposals and strategic reviews at the level of the Romanian government but also international meetings, organized by the Aspen Institute Romania in order to explore the challenge, responsibilities and opportunities stemming from Romania’s geography and its EU and NATO membership lead to the a logical conclusion: the NSR’s prospects depend equally on domestic policy choices as well as on major international dynamics affecting the region. Following the 2013 second edition of Bucharest Forum, the largest international gathering focusing on the needs of economic and strategy policy decision makers in the region between the Adriatic, Black Sea and the Caspian Sea, the Government of Romania has decided to make the idea of an East West Gateway Project, presented by a number of Aspen Romania members from the corporate sector, into a national strategic project. 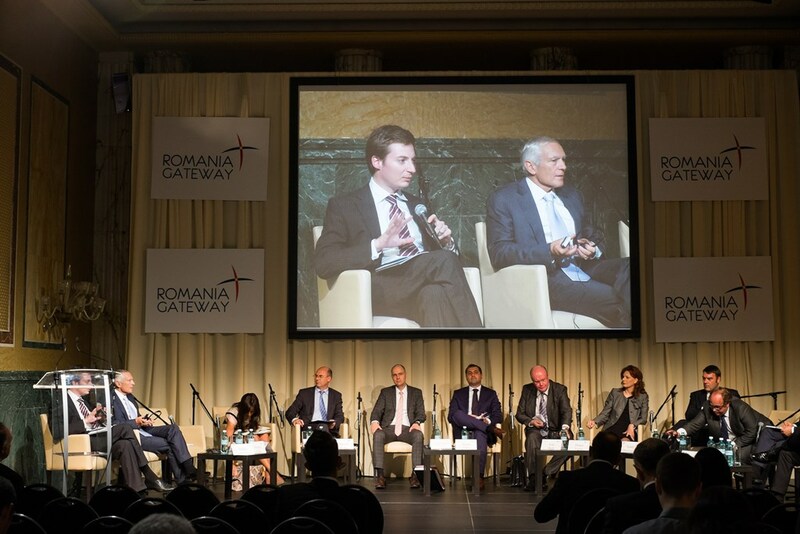 The establishment of the Romania Gateway Unit creates the institutional space for unprecedented public-private cooperation and coordination. A dedicated strategic unit, under the General Secretariat of the Government, was created in order to coagulate the public-private working group with the objectives of formulating strategic policy proposals, of drafting action plans and of designing specific measures, and of promoting the Gateway Project. Continuing on its work as a channel to foster cooperation between civil society, business environment, financing and banking partners and academia, Aspen Institute Romania adds to its 2014 series of policy roundtables a conference in partnership with the Government of Romania, dedicated to the kick-off of the Romania Gateway national strategic project. You may watch the launch video here.